Diversity and inclusion (D&I) is an important topic for Professionals of Color in Tech, especially in light of changing demographics, globalization, and the competition for talent. 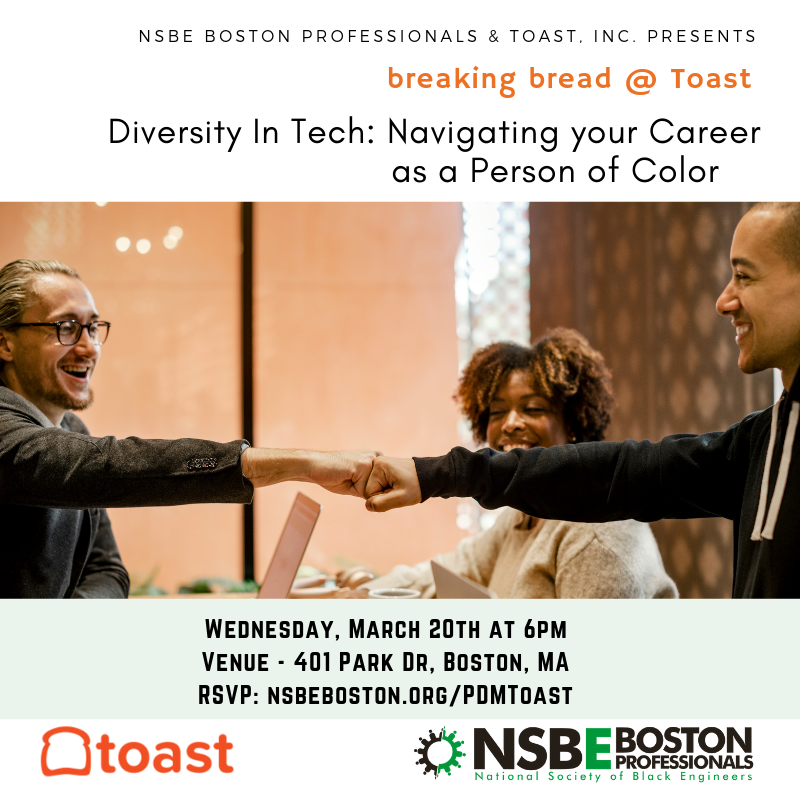 Join NSBE Boston Professionals and Breaking Bread (resource group for employees of Color @ Toast), for a panel discussion with a diverse group of executives from Toast and other leading tech companies in the Greater Boston area. Our invited panelists are Professionals of Color with unique stories and will share their experiences in the technology industry and also discuss how to mold your career without losing cultural identity in the workplace. Thank you to our host sponsor – Toast, Inc. Please follow signs to the Landmark Reception located on the second floor. From there, please take the EAST elevators up to the 8th floor where you will finds signs leading to the event. We encourage guests to allow for extra time to locate the event.